In early 2005, one of the original pupils of Scotus, Lindsay Wilson, started the mammoth task for attempting to contact as many former pupil as possible. He had copies of the school records so a least he had a starting point. It was not long before he had managed to contact a nucleus of local FP's. One of these contacts was Maurice Dougan who volunteered to set up this website; little did he know at that time what he was letting himself in for. Since then Lindsay's efforts have resulted in contact being made with more than fifty per cent of the pupils of the old school, (Sadly we have identified that around 110 former pupils are now deceased). 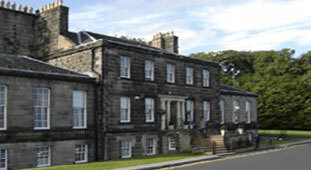 Scotus Academy opened in Edinburgh in 1953 and finally closed its doors in 1978. In its time over 1270 young innocent and not-so-innocent boys were able to avail themselves of a 'unique' learning experience. In this site you will be able to find a potted history of the Scotus Academy, the school roll (either by year or name), a selection of photographs (nearly 800 of them), including class, sports teams, individuals (then and now), reunions, events and school theatrical productions along with view of the old school building as it is now. We have also included a section of the photo gallery, which includes recently added pictures. There are also current and back issues of all Lindsay's monthly newsletters. We also have a guest-book and a section containing the recollections of time at the school. Please visit the Sundry Page where you will find some fascinating features. If you would like to have any aspect added to this site, please feel free to contact us.